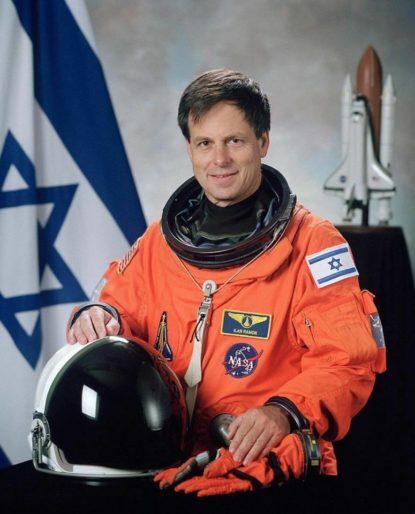 16 years ago, February 1st 2003, we lost Col. Ilan Ramon, an Israeli Air Force fighter pilot & Israel’s 1st astronaut for NASA. Ramon was the space shuttle payload specialist of STS-107, the fatal mission of Columbia, in which he and 6 other crew members were killed in the re-entry accident. At 48, he was the oldest member of the crew. Ramon is the only foreign recipient of the United States Congressional Space Medal of Honor, which he was awarded posthumously. This month, Israel welcomed it’s newest international airport located in Eilat. The Ilan & Asaf Ramon Airport is named for Israel’s first astronaut, and for his F-16 pilot son.